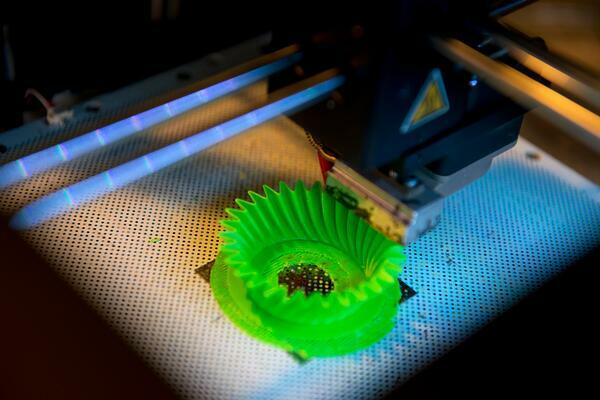 Earlier last year, we discussed 3D printing. Though it has been around for quite a while, the new printing technique has only been a player in the public consciousness for about five years. In that time, the public’s perception of what 3D printing can do has eclipsed the process’ actual capabilities. And with more recognition come more inquiries — everybody wants to explore 3D printing as an option for their next project, and are eager to want to move on from more traditional methods, such as injection molding. The two processes are similar — they both primarily produce parts and components from plastic, and they are both capable of high degrees of geometric complexity. However, there are important differences as well. One of the more appealing aspects of 3D printing is the absence of steep initial costs. Because of its need for specially tooled dies, the creation of which is an expensive process, injection molding requires considerable initial costs. Though imposing at first, these startup costs are amortized over the lifespan of the die and the production run — in high volume injection molding projects, the startup costs are amortized over more individual parts, leading to a relatively low per-part cost. Aside from its benefit in terms of initial costs, 3D printing has a number of limitations that the technology has yet to surmount, especially when compared to injection molding. There are still technical and software issues that cause costly and time consuming misprints; 3D printers are still quite rare, the printing process is notably slower than injection molding, and the produced parts are restricted in size. Even 3D printing companies acknowledge these drawbacks. Sculpteo, an online 3D printing service company, conducted a study and found 3D printing to be cost effective only for very low volume runs of very small parts. Both 3D printing and injection molding are capable of producing high quality, highly complex plastic parts. To determine which process of the two is a better option for your next project, there is one key factor you must consider: breakeven point. When hiring an injection molder, even for a large volume injection molding order, there will be a high initial cost — this is inherent in the process of die tooling, often using stainless steel for the mold. You must determine the breakeven point — the point in production that those startup costs are amortized far enough to make injection molding a cost effective option over 3D printing. Part size and part complexity are other considerations. Sculpteo’s study found that the break even point falls almost exclusively before 1,500 produced units. If your production run is smaller than that, 3D printing could be a cost effective option for you. If your run is greater than 1,500 — which, in most industrial manufacturing scenarios, it likely is — injection molding is the smarter option. Though a truly impressive technology, the usefulness of 3D printing at this time is restricted to part and product prototyping, and to very limited production runs. We encourage readers to do some research on the full capabilities and benefits of large-scale injection molding. Our Introduction to Plastic Injection Molding eBook is an excellent resource to familiarize readers with injection molding in the 21st century. The Rodon Group has been producing high quality injection molded parts and specializing in high volume injection molding of 1,000,000 pieces or more, since 1956. But we haven’t been in business for so long by shunning new technology — we maintain a number of 3D printers for prototyping so that we may better assist you in designing your parts for full scale, injection molded production. “We think additive manufacturing provides a great compliment to what we do for our customers. And the technology is getting better every day. While it may never replace injection molding, it certainly will make designing, prototype testing, and smaller production runs cheaper and available to more product developers and entrepreneurs”, states Lowell Allen, Sr. VP of Manufacturing at The Rodon Group. 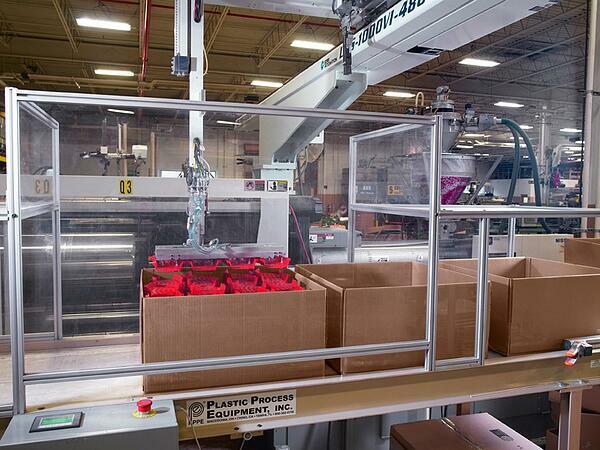 To learn more about our high volume injection molding capabilities, visit our site or contact us today.